Nike's Air Max line has a rich history in the sneaker game. There have been so many iconic Air Max models and colorways that if you were just getting into sneakers, you wouldn't know where to start. Luckily, with the brand new "Throwback Future" pack, Nike is hinting at which silhouettes they feel are worthy of some much-deserved love. 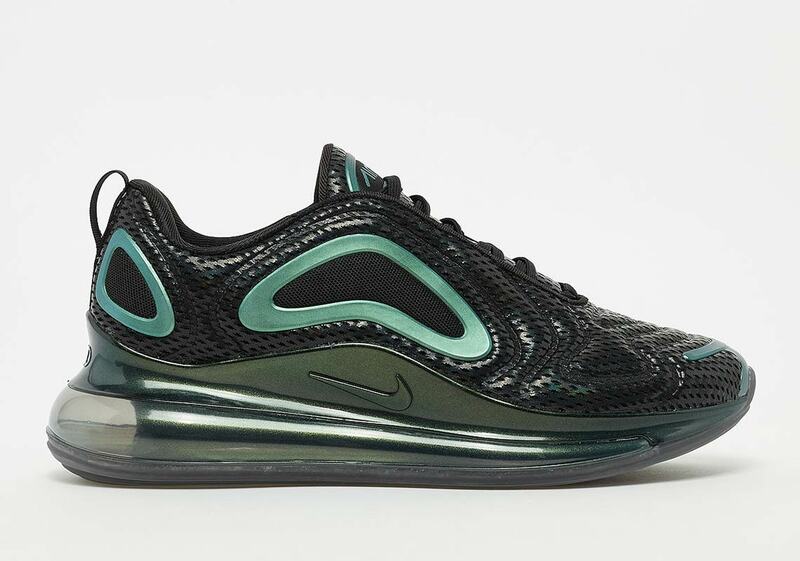 As the name suggests, the pack take a look at some older Air Max versions like the Air Max 97 and 95, while also shining a light on new models like the Air Max 270 and Vapormax 2019. The latest Air Max 720 model is also getting some love in the pack and will come in a unique iridescent colorway. It's hard to describe the colorway due to how different it is from what we've seen from the Air Max 720 so far. Despite that, it appears as though there are heavy hints of green throughout with a slick oil aesthetic. Considering the name of the pack is "Throwback Future," the appearance of the shoe makes a lot of sense as it looks a lot like something out of outer space. If you're looking to cop this show, it will be available on the Nike SNKRS App on March 21st at 10 A.M. for $180 USD, according to Sneaker News.